I’ve visited a wide variety of rail attractions over the past 20 years on my accessible travel beat, and I have to say that the folks at the Yosemite Mountain Sugar Pine Railroad (www.YMSPRR.com) really wowed me the other day. Although rail cars may seem pretty easy to make accessible, there are a few inherent problems. At the top of the list are battery powered or electric lifts that are used to board wheelchair passengers on the rail cars . Don’t get me wrong, I think they’re great, but only if they’re well maintained, because once they break down, you’ve literally got nothing. That’s why I’m a huge fan of mechanical lifts, as they don’t require a power source – other than a human — and they are very easy to operate. Also, they don’t seem to require as much maintenance as the electric models. Now the mechanical lifts work great for stations, but what if you have a railway that makes a stop in the middle of nowhere for an event – say a BBQ? Well that’s the problem that the folks at Yosemite Mountain Sugar Pine Railroad had to deal with, and I have to say, they came up with an excellent solution. Enter the Roll-A-Ramp, a portable lightweight ramp that rolls up for storage and unrolls to allow easy wheelchair access to the train. And then they just roll it up and throw it on the train for their moonlight BBQ stop at Lewis Creek Canyon. It’s efficient, safe and easy, and the sturdy ramp can handle up to 1,000 pounds. Granted the BBQ season is over for the year, but they also use the ramp for their Logger Steam Train, which runs through early December (weather permitting). So if you thought that a historic steam train couldn’t possibly be accessible, then think again. And then check out the Yosemite Mountain Sugar Pine Railroad, near the South Entrance of Yosemite National Park in Fish Camp, CA. It’s a fun – and very accessible ride. 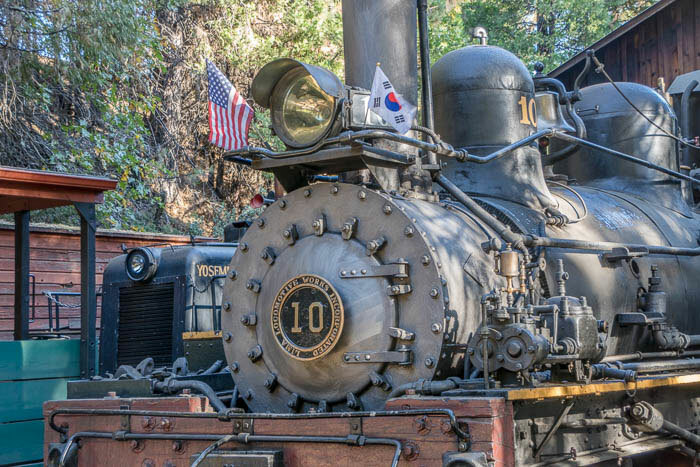 This entry was posted in Attractions, Ground Transportation, Rail Travel, Recreation and tagged california, fish camp, historic, oakhurst, railroad, ramped, steam train, Yosemite by Candy B. Harrington. Bookmark the permalink.